According to the 46-year-old Swiss, 16 countries would be eliminated after a preliminary knockout round. 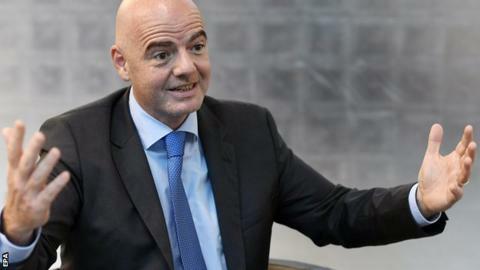 This is all part of Gianni Infantino's plan to expand the tournament because there is a lot of discontent from some continents who feel World Cup places are not allocated in the right way. It could be something like England against Iceland in the first round if England were not seeded. It is very high risk - and it would be dramatic and exciting for TV, I am sure. That is what is on the table and a decision will be made in January next year.